In Parshat Noach God destroys all of humanity, save for Noach and his family, in a great flood. The text provides us with a reason for God’s wrath—va’timale ha’aretz chamas, —that the earth was filled with violence. A simple reading may bring to mind a brutish anarchic existence, in which people fight, steal and destroy without restraint. Indeed, various rabbinic interpretations explain chamas as connoting theft, murder, sexual sins and kidnapping. With the aid of the midrash, we have a fascinating picture of the generation of the flood. Firstly, society was in a crisis caused by the cumulative effect of seemingly insignificant individual acts; secondly, prosperity and abundance were the root of their societal malaise; and thirdly, the punishment for their actions—a destructive flood—was slow in coming, allowing adequate time for them to change their ways. This reading of the Noach story provides a striking parallel to our own society in the midst of a global climate-change crisis. No single act of environmental sin or indifference has caused the Earth to heat up; rather, it is the combined effect of billions of small actions across the globe. Similarly, our affluence and our ability to harness and control the Earth’s resources, which have enabled the scale of consumption that has altered our atmosphere, are the prime cause of our destruction. And as with the generation of the flood, the waters are rising around us slowly; we still have time to examine our actions and change them. It is important then to point out that climate change is as much a social justice issue as it is an environmental problem. Like most crises, the impact of climate change is felt most acutely by the most vulnerable in society. A small rise in sea level has had little impact on most of us, but it has already caused villagers on the far-flung Pacific islands of Kiribati, elevation six feet, to become environmental refugees. On other Pacific islands, and in low-lying areas across the globe, arable land is being lost to the ocean, or becoming unusable due to salinity. This in turn endangers the food security of the local population. Of course, flooding is only one aspect of climate change that farmers must contend with—even a slight change in regional temperature can cause an entire crop to fail. It is a cruel irony that people whose own carbon footprint is small, such as subsistence farmers and fisherfolk, are most affected by a problem caused largely by the West. What can we do to stop the flood that threatens our generation? We must first recognize that climate change is a large and complex problem and face our own culpability, as both individuals and a society. 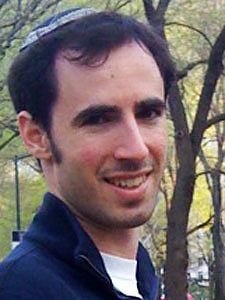 The Jewish Climate Change Campaign aims to act as a resource in educating and provoking change in individuals, institutions and communities. Visitors to the site can see what efforts others are making and can contribute their own ideas. In addition to making changes in our own lives, we can also support organizations working to protect vulnerable people and communities that have already been adversely affected by climate change. The Lambi Fund, an AJWS grantee, helps Haitian villagers cope with extreme weather conditions and the impact of environmental degradation. Last year, Lambi’s staff responded to the multiple hurricanes by helping farmers to plant crops and trees that will protect shorelines from future storms. In this week’s haftarah the flood-waters are called mei Noach, the waters of Noach, suggesting that although he was sufficiently righteous to be saved, Noach still bore some kind of responsibility for the destruction by not doing enough himself to prevent it. While our generation does not have the option of retreating to an ark, we do have a chance, and an obligation, to prevent the next flood. Talmud Yerushalmi, Bava Metzia 4:2. Ginzberg, Louis. The Legends of the Jews: From Creation to Jacob. Trans. H. Szold. Vol. 1. Philadelphia: Jewish Publication Society, 1909. p. 23. Rashi on Bereshit 6:14, quoting Bereshit Rabbah 31:7.